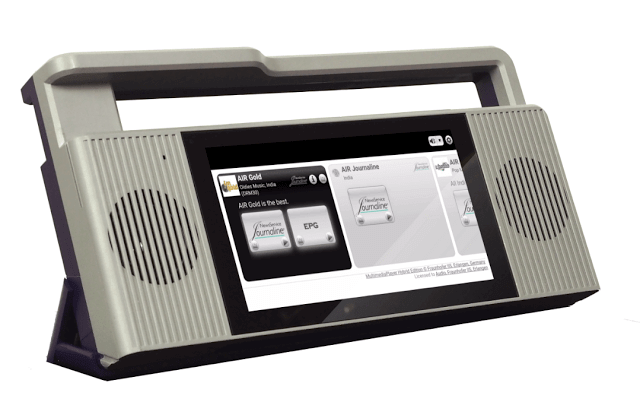 The PantronX Titus II is a yet-to-be-released portable Android tablet based SDR that we've been following since 2016. The device will feature a 100 kHz - 2 GHz tuning range, and software that focuses on HF digital DRM decoding, as well as DAB on VHF. Is it time for an update on the Titus 2? PantronX deserves credit for NOT releasing a buggy radio, but the company really needs to begin production by January of 2021. I see they’re inviting Pre-Release orders, no hint of a price-point. Earlier reviews suggest “below [US]$100″…? & its plans to manufacture these puppies? I presume it’s based on GnuRadio… right? there’s little of no IP license fee to pay. Ah the magic of Open Source designs! In the USA and Canada, some medium wave stations have dropped the Ibiquity HD Rdio and reverted back to C-QUAM AM Stereo. Can the Titus II decode that, or can an APP be written to do that? Incidentally, we are now seeing kits for C-QUAM medium wave transmitters that operate under FCC Part #15 power levels. How do I know? Myself and a friend have such transmitters. When would this product arrive in Argentina? I have contacted TWR to ask if really the $150 donation for China raised at radiosfortheworld.com will allow a listener to receive a Titus II radio. After a week i received the answer. I am not going to copy and past but briefly they said that that was the intent, however the production is delayed so they have just stopped collecting money for this project untill is ready. Infact they are not mentioning anymore the Titus in the website. Push ’em to add features that make the system a Kid’s Educational + Game computer (based on Android), so anyone who is given a radio gets more than a 1-way media box. Kids could, eg, get KhanAcademy.org (via an Android app), etc. as well as use Zello to meet folks around the world, practice a new language, etc. It would be good if we could the real date of production, and of course the most important parameters : the price. Anyway, i’m I look forward to it this obviously curious product ! You can believe whatever they tell you but for me this story is not clear. In the meantime TWR is rising money with $150 offers to donate this radio to China listeners. $150 buys SEVERAL existing/working (albeit smaller) AM FM SW Media-Player (from uSD card) & Voice-Recorder (for their own creations, talking letters to family+friends, etc.). I’d want to see Evidence that TWR is bona fide (& actually delivering radios to people in need). but do Not wish to convert to their particular religion. Oops! I forgot to mention the particular “existing / working” radio I had in mind. Lotsa vendors in app “AliExpress” sell it for ~AU$ 25 w/ Free Shipping to AU. YMMV on price & shipping options, so pick the best deal offered to your area. Read past buyers’ reviews. They seem to like it.